Introducing the “Albaterra Mates” Box Set – Discover NOW The Best Paranormal Romance Book by Ashley L. Hunt! They’ve been watching Earth for a thousand years. Now, our paths will finally cross. Albaterra is a beautiful, diverse planet, just one galaxy away from the Milky Way. Its inhabitants? A race of blue-skinned, white-eyed, muscular aliens who call themselves the A’li-uud. They are fierce warriors, and they revere the ground upon which they walk, but the security of the comfortable world they’ve built for themselves is about to be put to the test because humans are close. When a human spacecraft crashes onto Albaterra, nothing short of chaos ensues. Violence and deceit threaten to tear the serene A’li-uud civilization apart and obliterate the human race altogether. It is left up to a select few alien males and the human females who’ve captured their hearts to not only save what is about to be lost but blossom a seedling of hope for a prosperous future into a flower of fruition. Discover Rex, one of the eleven elite Elders who protects the curvaceous Tabitha against his obligations to the A’li-uud Council. Learn why Duke, the militant mission captain, forsakes all he’s ever known when he meets Emily. Follow the alpha male Dane as he is caught between filling his brother’s shoes and fulfilling his desires with the New York ambassador, Roxanne. Join Lokos and Celine in unexpected unity when they face a new danger that could threaten everything. Find Khrel battling his loyalty to his kingdom and his feelings for Lena. Meet the snarky Zuran as he tears himself away from a criminal past for a future with the selfless Phoebe. And, finally, watch Venan discover what it truly means to lead a kingdom with the help of Octavia. In an era of widespread fear, dangerous mistrust, and extreme cultural differences, romances bud with such flaming passion, they could set the world on fire. Everyone wants that happy ending, but both A’li-uud and humans are going to discover the answer to one of the time’s greatest questions: does love really conquer all? Santa Claus isn’t who, or what, you think he is! Santa Claus is an Arctic Wolf Shifter, and the mantle has always passed down to his sons. But this Santa didn’t have any boys, he has 4 girls! His eldest daughter is supposed to marry the son of the pack’s Beta wolf, Rock. But she has refused. Lizzy wants to marry for love, not pack standing. Lizzy is pulled to Los Angeles looking for adventure and possibly her future Santa. What she finds instead shocks her and her family. 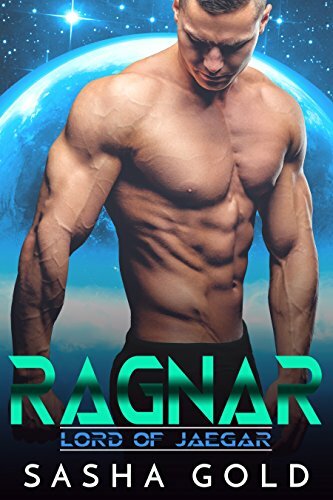 If you like clean, shifter romance, then you will love this newest book by J.L. Hendricks. She merges her favorite season, Christmas, with a popular genre, Shifter Paranormal Romance. Come and see how these Arctic Wolf shifters celebrate Christmas. The mission: Deliver the murderer to Pendleton. This man has killed several prison sentries and looks like he could easily snap his steel shackles. It’s rumored he can shift into an immense wolf. That doesn’t worry Natasha, though. She doesn’t believe in wolf-shifters. If he tries to break free from his shackles, she’ll be ready. Highly trained in hand-to-hand combat, she can bring a man to his knees. A gun strapped to her side offers more protection on what should be a quick flight to the penal colony. Natasha has another mission, a secret mission, to find her missing sister who vanished on a trip to the prison colony. Delivering the dangerous prisoner will give her a chance to search for her twin. Ragnar Helmsgaard seeks his fated mate. The tiny female at the ship’s controls is part of the Maiden class of Andromedins. Natasha’s courage amuses Ragnar almost as much as her scent tempts him. He might even feel a shred of pity for the girl in the drab pilot’s uniform. The girl who thinks she’ll take him to Pendleton. The girl who awakens his inner wolf.